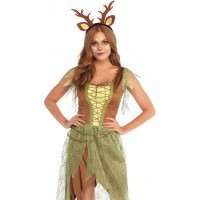 Because every woman is a deer, this Cozy Fawn costume is adorable! 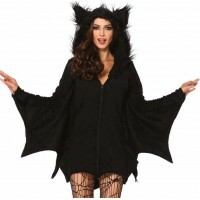 Cozy fleece zipper front dress has attachedfuzzy ear hood and furry fawn tail. Item Number: LA-c85587 | Approximate Size (Inches): 10.00 wide x 3.00 deep x 14.00 high | Approximate Shipping Weight: 2.00 lbs.